Embracing easy off-duty wear before the utter madness of Australian fashion week sets in. 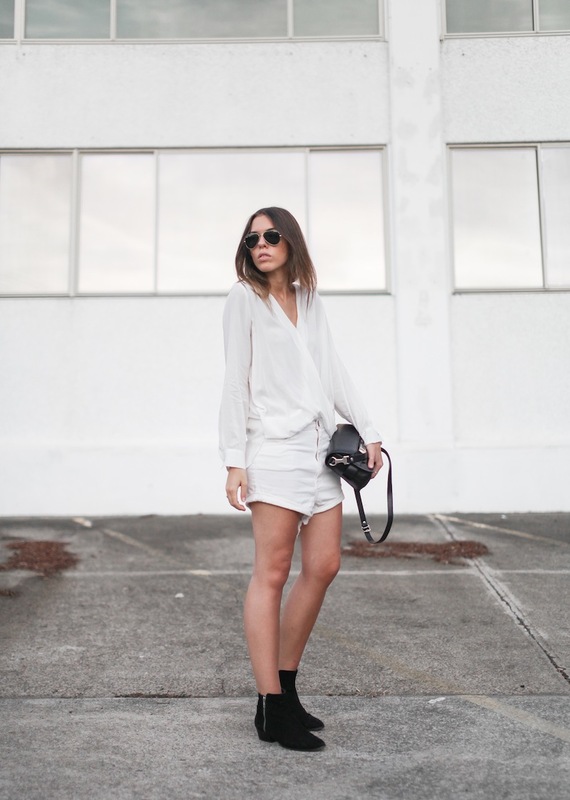 Probably the most effortless all white ensemble I've seen! I love the drape silhouette of the top, and those One Teaspoon shorts looks awesome. Love this outfit! It has me wishing me for warmer weather in England! Such a great white outfit, simple chic yet effortless! Love this, it's simple and chic! wow, that look is really awesome! Agree! Just perfection! The boots are my favourite!